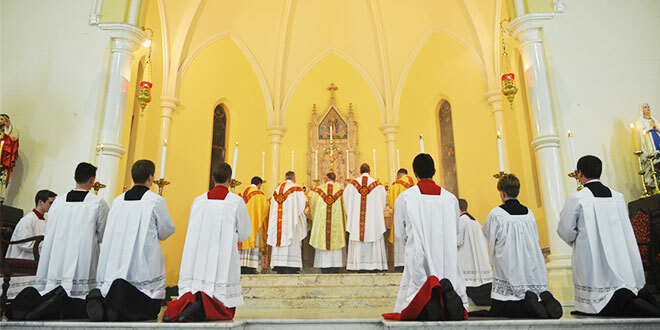 Facing East: A Mass celebrated in Brisbane where the clergy are facing towards the East. BRISBANE Catholics including a consultant to the Australian National Liturgical Council have responded to suggestions from the Church’s liturgy chief on returning to a “common orientation” of the Mass. Prefect of the Congregation for Divine Worship and the Discipline of the Sacraments Cardinal Robert Sarah made an appeal for all Catholic priests to return “as soon as possible to a common orientation” in the Mass, whether eastward or towards the apse. He suggested priests offer the Mass in a common direction on the first Sunday of Advent, or November 27 this year. To the east: Cardinal Robert Sarah. Cardinal Sarah made the comments in his opening address for the 2016 Sacra Liturgia conference in London recently. The suggestions were offered as considerations for how the Western Church could more faithfully implement the Constitution on the Sacred Liturgy, Sacrosanctum Concilium, a Second Vatican Council document. 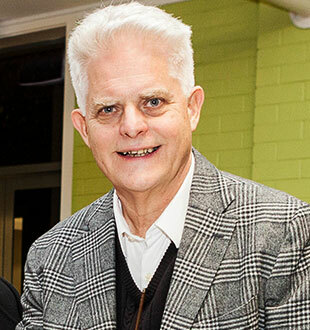 Brisbane Oratory member Fr Andrew Wise was among the delegates at the London conference. Commenting from London, Fr Wise said the members were “energised” by Cardinal Sarah’s task, endorsed by Pope Francis, to implement a “reform of the reform” of the Sacred Liturgy. “Rather than a primary focus on ‘God here among us’ the main focus here shifts to the Lord who comes to meet us ‘like the dawn from on high’ (Luke 1:78) that is from the Liturgical East,” Fr Wise said. He said offering Mass towards the East, or Ad Orientum in Latin, was not contrary to the official document on the liturgy, which includes the General Instruction of the Roman Missal. “There is no question about an Ad Orientem direction for the liturgy of the Eucharist being allowable according to the liturgical books and this has been the traditional orientation for the Eucharistic liturgy from the earliest centuries of the Church,” he said. 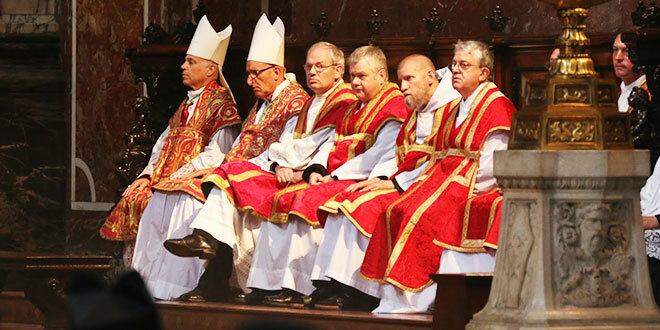 Concerning liturgy: Fr Andrew Wise (third from the right) was among the delegates at the Sacra Liturgia conference in London. Photo: Sacra Liturgia. Liturgy Brisbane director Fr Tom Elich said Cardinal Sarah’s address had contradicted the liturgical books, particularly on its instructions on construction of altars. “At the moment, if you look at our Roman Missal, which was revised by Rome only a few years ago, (paragraph 229) says altars need to be such that Mass can be celebrated facing the people which is to be done whenever possible, full stop,” Fr Elich said. He said Cardinal Sarah’s comments were of “his personal opinion” but directed to “a right-wing conference” that didn’t necessarily reflect all the faithful. “He can come in and say let’s celebrate Mass Ad Orientum – it’s a free country, and they can say what they like – but it has no more validity than anybody’s personal opinion,” Fr Elich said. Liturgy debate: Liturgy Brisbane director Fr Tom Elich said Cardinal Sarah’s comments contradict the Church’s official documents on the liturgy. Fr Elich said Cardinal Sarah’s comments on liturgical abuses that neglected God as the central focus of the Mass were “just plain insulting to millions of Catholics around the world”. Quoting from Paragraph 1136 of the Catechism of the Catholic Church, which defines liturgy as an “‘action’ of the whole Christ”, Fr Elich said a return back to an Eastward orientation was the wrong approach. “But that is not a reason to go back, it’s a reason to go further forward, so the priest is gathered in the midst of people, with the people gathered around the altar, not all looking at him as though he’s the performer, so the whole assembly is gathered around the altar,” he said. In September 2000, the Congregation for Divine Worship and the Discipline of the Sacraments responded to a European cardinal’s queries on whether Paragraph 229 of the GIRM constituted an exclusion of the Mass offered facing East or towards the apse. Former prefect for the Congregation Cardinal Jorge Medina Estevez wrote in the formal letter that after “mature reflection” the answer was “negative” and gave full translations of the document’s original Latin text. “It reaffirms that the position toward the assembly seems more convenient inasmuch as it makes communication easier (Cf. the editorial in Notitiae 29  245-249), without excluding, however, the other possibility,” Cardinal Estevez said. Young Catholics are among the laity who responded to the cardinal’s suggestions with mixed reactions. Brisbane teacher Catherine McDowall said she was “filled with joy” when she heard Cardinal Sarah asking priests to return facing East in the Mass. 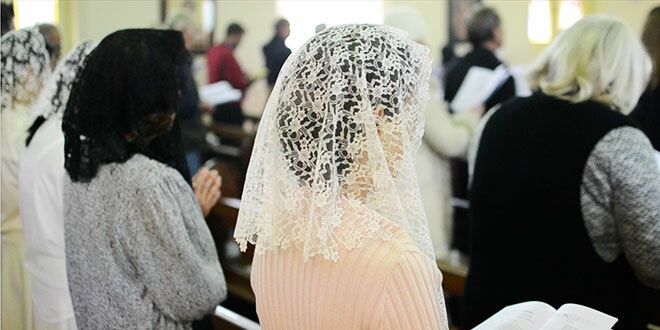 After going to her first Ad Orientum Mass in 2013, the 30-year-old teacher at St Martin’s Primary School, Carina, said the tradition had become her preference. “It is almost as natural as breathing,” Ms McDowall said. She said a common orientation seemed logical in light of her own facilitation of the daily Hail Mary in the classroom. “In the middle of the day, the children and I face the statue of Our Lady together,” she said. Ms McDowall said a common orientation united the congregation with the priest rather than distinguishing them as separate groups in the Mass. “The idea that the priest is separate is not necessarily right, but instead, we are pilgrims going towards God and he (the priest) does lead us,” she said. Others have questioned how the reforms might affect Catholics with disabilities or impairments. Sam Hodge, a man with a disability in the Brisbane archdiocese, said the Church needed to ensure inclusivity of all the faithful before making a return to a common orientation. Speaking to The Catholic Leader before Sunday Mass last week, he said the Church needed to continue to be inclusive and collaborative with regards to reforms. “We need to be inclusive of all people and we need to form a liturgy that is mindful of people who are participating in it,” Mr Hodge said. “The first one that comes to mind is will the Church ensure that, for example, people with hearing impairments can fully experience the Mass as they have before. “For a person, for example, who lip reads, where the priest faces the East and has his back to the congregation, can the Church fully ensure that that person can fully engage in the Mass. 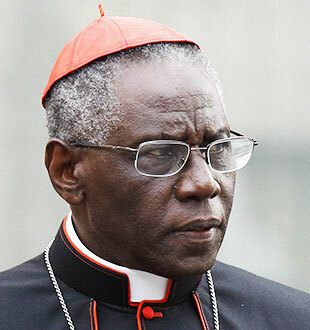 As well as calling for a return to a common orientation, Cardinal Sarah also suggested changes to liturgical formation in seminaries, clarification on the nature of participation, which he said the Church saw as “primarily internal” and a balance between the vernacular and the use of Latin in the liturgy. What do you think? Send your thoughts on the issue to Have Your Say – email editor@catholicleader.com.au.